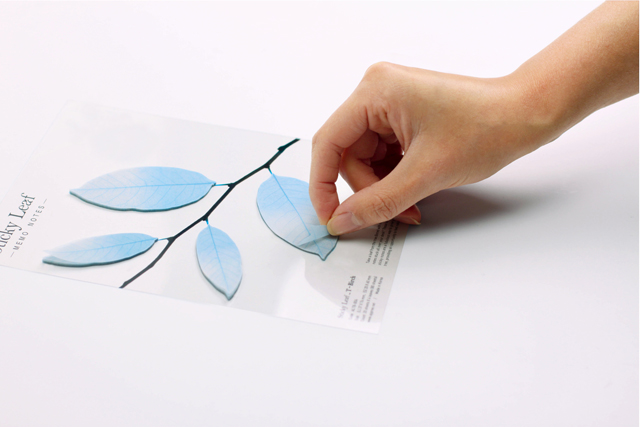 Tracing Birch is adhesive memo paper with transparent leaf shape. From the novel ‘The Last Leaf’ by O.Henry, the grandfather Behrman draws the last leaf to give hope to sick Johnsy. 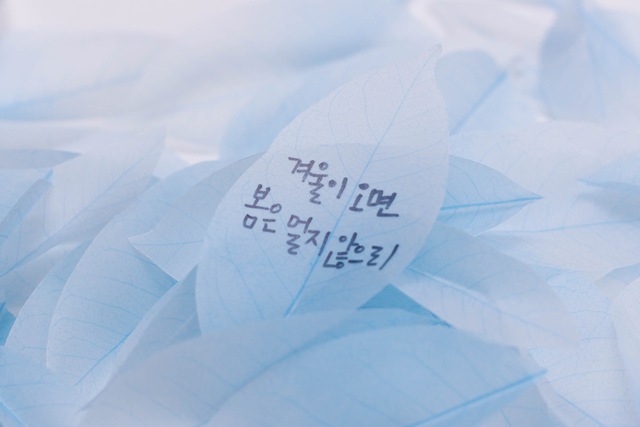 Johnsy finds hope from the last leaf which doesn’t fall down even in rain storm and overcomes her sickness. 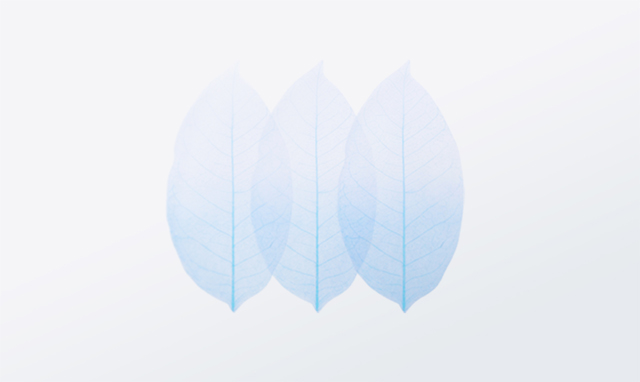 As ‘the last leaf’ of the grandfather Behrman, send hopeful message to special people to you. 트레싱 버치는 투명한 나뭇잎 모양의 점착메모지입니다. 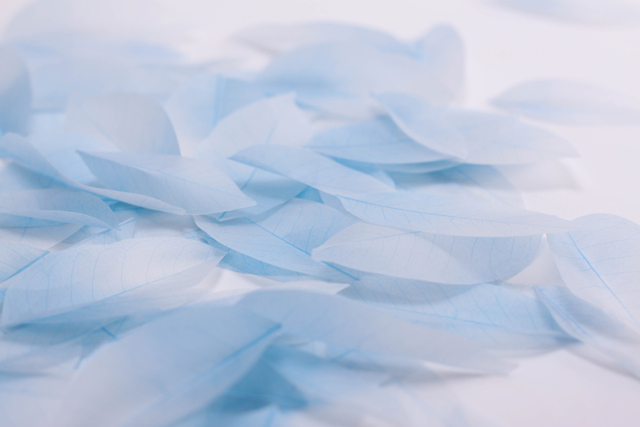 오 헨리의 ‘마지막 잎새’소설에서 베르만 할아버지가 아픈 존시에게 희망을 주기 위해 마지막 잎새를 그려줍니다. 비바람에도 떨어지지 않은 잎새를 보며 존시는 희망을 얻고 병을 이겨냅니다. 베르만 할아버지의 ‘마지막 잎새’ 처럼 소중한 사람에게 희망의 메시지를 전해보세요. 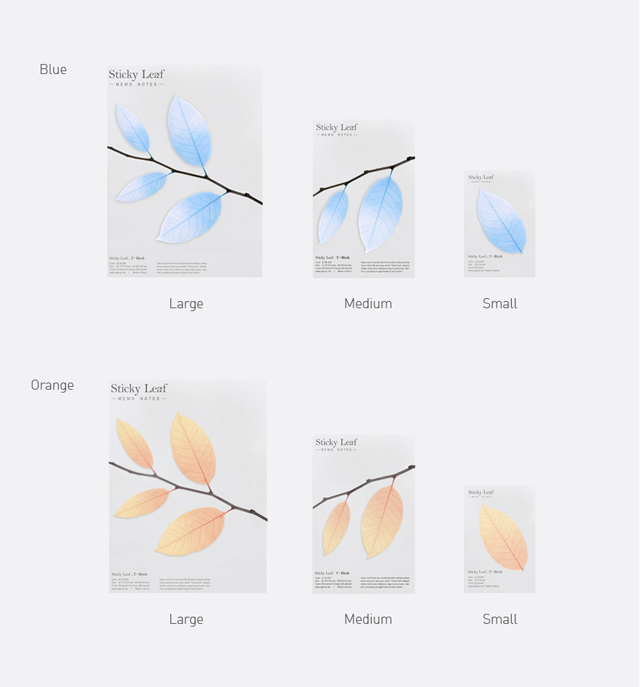 You may feel nature vividly with realistically described vein. 잎맥을 사실적으로 표현함으로써 생생한 자연을 느낄 수 있습니다.